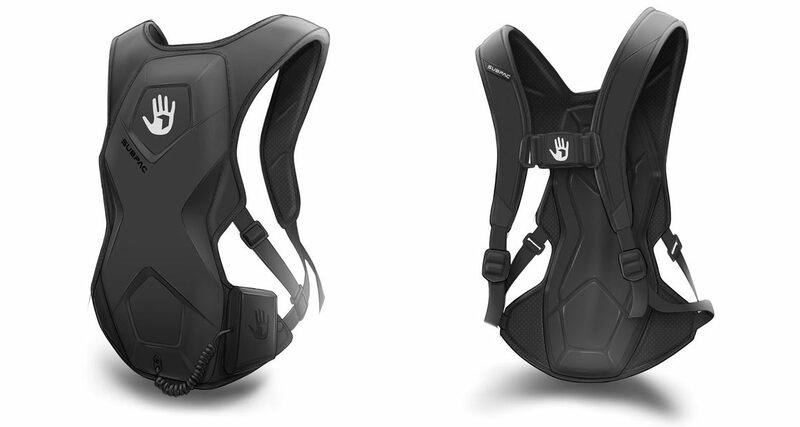 In this review we take a look at the SubPac M2, a backpack that essentially functions as a wearable bass bin. 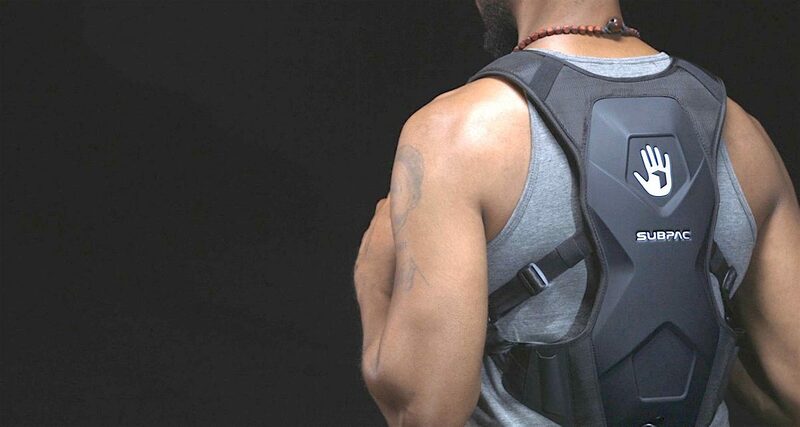 You wear the SubPac M2 like a backpack, and it comes with shoulder straps and a chest harness. This is actually a sister device to the S2, which is designed to fit a chair. This one is very similar in shape to a Camelbak hydration pack, and is ergonomic and well made, with padding in all the right places. It’s made from black nylon, with the front being rubberised plastic. A small control unit is permanently attached to it via a coiled cable, this unit has a clip on the back of it for hooking on to any of the straps. The unit we were supplied with for review was charged, but to charge it, you plug the control box in with the supplied cable/transformer system using one of the four global power leads supplied; when fully charged it runs for six hours. The control box has a power-in socket on the rear, and a bass intensity control on the front, which has a centre detent. There’s a power switch that doubles up as a Bluetooth pairing button (hold it in for four seconds to make the unit visible to any Bluetooth device), and there are also Line In and Headphone out sockets here, too. The SubPac M2 comes with a remote that lets you dial in the amount of bass that you want to feel. Apart from music, it’s also recommended for watching films and gaming (eagle-eyed Vault Dweller DJs will spot the Fallout reference). I auditioned it with bass-heavy dance music via a wired connection and a pair of Pioneer HRM-7 studio headphones (the headphones socket is only 1/8″, so you can’t use hardwired 1/4″ plugs as on my preferred Ultrasone DJ1 Pros). At first, when the bass hit it felt… weird, like there was a disconnect between the music in my ears and the bass in my back. It felt strange not having the bass hitting my stomach (as is the case near bass bins in a club, of course). All it took was to turn the bass way down after a few minutes of listening, though, to realise that this thing is an awful lot of fun. I immediately turned it back up again and found myself strutting around the studio really enjoying the music in a way I’d never experienced with only headphones on before. Actually, although there’s a centre click, I found the optimal place to have the intensity knob set to was at about a third because anything above that felt unnatural and even a little tiring, but at around that “sweet spot” the SubPac M2 definitely added to the experience. You literally “feel” the music in a way that’s quite unique, and you find yourself wanting to close your eyes to try and forget the suddenly mundane surroundings you’re in and get totally lost in the music. It’s like self-administering drugs into your arm with a push button at a hospital bedside, although far more cheerful! As the SubPac M2 is completely portable, there’s no reason why you can’t Bluetooth your iPhone into it and head out and about. That said, if you do prefer to hard-wire your music source into it in order to reduce the slight background screeching present on Bluetooth, you’ll have an awful lot of wires literally hanging around. 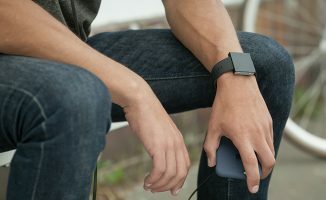 While this is designed to pump the bass right into your body, the bass is actually audible to anyone else in the room with you – other people hear something close to a faint “thud, thud, thud”, as if there’s a rave going on two miles down the road, plus the odd rattle as an extra loud bit of bass hits. This might become annoying for some, like only hearing one-half of a phone conversation. 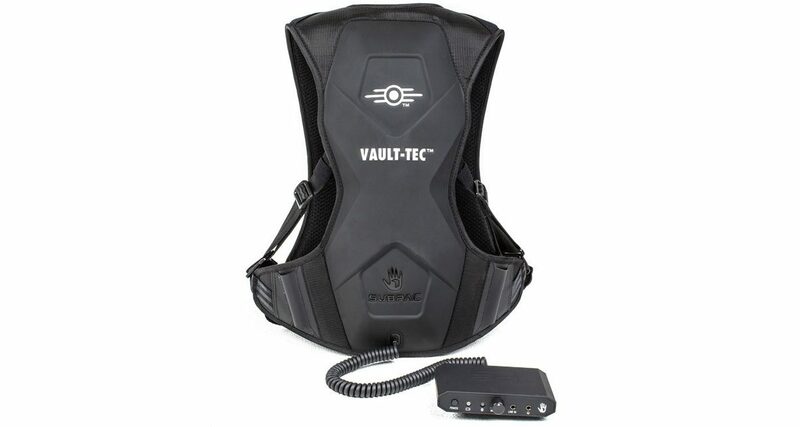 When you use it with monitor speakers instead of headphones, you need to have them nice and loud to give you an immersive experience in the mids and highs as the SubPac is providing you in the bass frequencies (5Hz-130Hz). 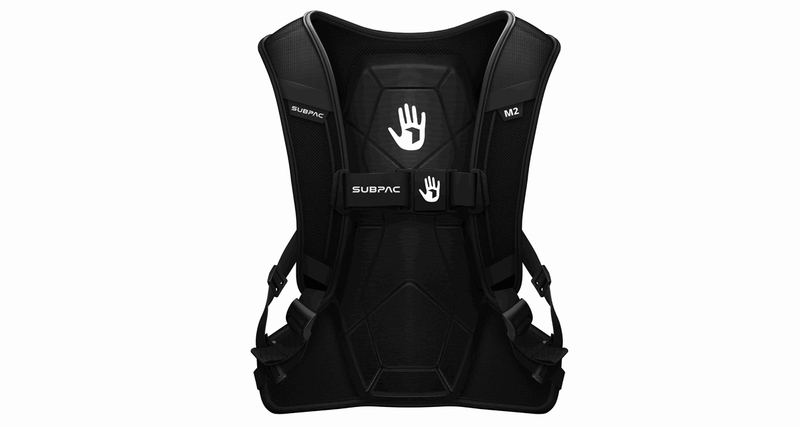 The SubPac M2 can be used for DJ practice sessions and even producing music when a more club-like “bass-heavy” environment is needed. OK, so this isn’t a gimmick: it’s a serious product, well made and effective. For DJs who need to practise at home and yet feel a bit more connected to their music (which is a very good thing, of course), it’s great, especially as it’s really best used stood up anyway. But it’d be fun for gaming and watching films, too. I can also see a whole pile of these coming to a silent disco near you any time soon, as they’d definitely up the atmosphere at such events. The manufacturer is keen for it to appeal to producers, too, with detailed notes on how it should and shouldn’t be used when making music provided, and even a calibration tool. If you produce music and have to use headphones, I can definitely see how this could help you to do so, although you’d have to be careful and test your end results on a “normal” speaker/subwoofer system too, for obvious reasons – you could be adding way off-the-mark amounts and textures of bass inadvertently otherwise. 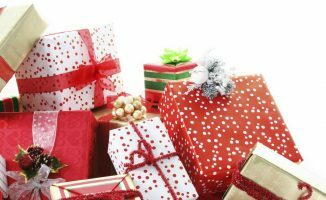 At the time of writing it’s only US$329, which is a reasonable price, and something you’d have to weigh up against buying, say, a subwoofer for your home studio as an alternative – and that’s assuming you’re able to use a subwoofer where you want to practise, listen to, or make your music anyway. Overall, for film lovers, gamers or just fans of bass-heavy music, the SubPac M2 is likely to be a lot of fun. But at least for some DJs and producers, it could turn out to be much more than that, becoming an indispensable tool for more immersive practise sessions and helping to make a more club-like environment for producing music in. 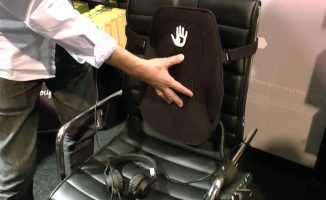 What do you think of the SubPac M2? Is it something you’d want to add to your practice or home studio set-up? Let us know below. 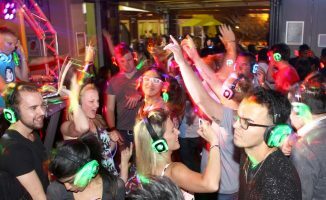 Your Questions: How Do I Mix At A Silent Disco? Definitely 😉 Would be awesome! Thanks for the extra tips on this! yet this doesn’t appear on the video. Somewhere on the hard drives at DDJT there is a video of Phil strutting, duck-necking – with pursed lips and a sheen of sweat, whispering ‘woo!’ as the bassline hits. Can this clip please appear on the DDJT Christmas blooper video? Lauren, make it happen, Phil doesn’t need to know. Very helpful feedback on this, thank you 😀 It really is a unique product – glad to know it has helped you with producing!